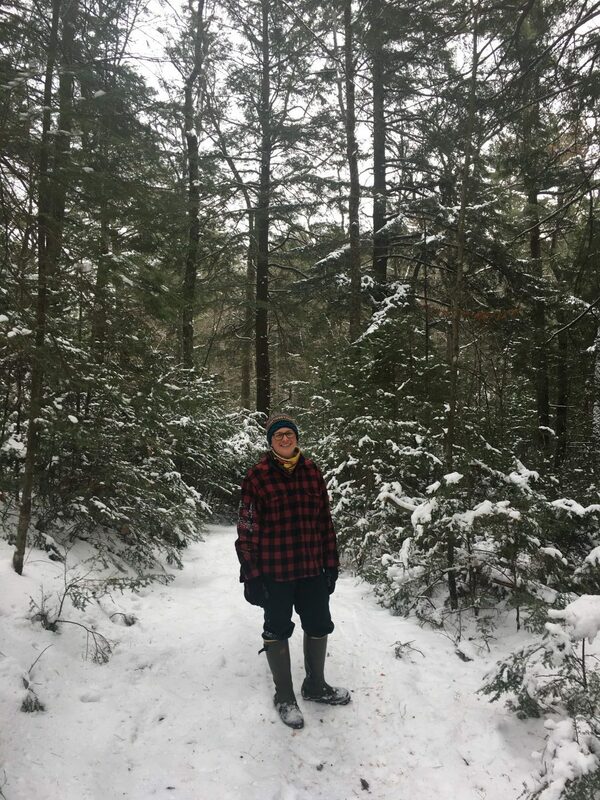 All of this beautiful snow here in Madison reminds me of a winter trip I took to northern Wisconsin, when I had the opportunity to explore a new place: Germain Hemlocks State Natural Area in Oneida County. The SNA is named after Clifford E. Germain, the first ecologist and coordinator of Wisconsin’s State Natural Areas Program, who helped protect many places during his career with the Department of Natural Resources. Nestled between three lakes, this beautiful natural area protects old-growth northern mesic forest, featuring super-canopy white and red pines, yellow birch, sugar and red maple, and red oak. 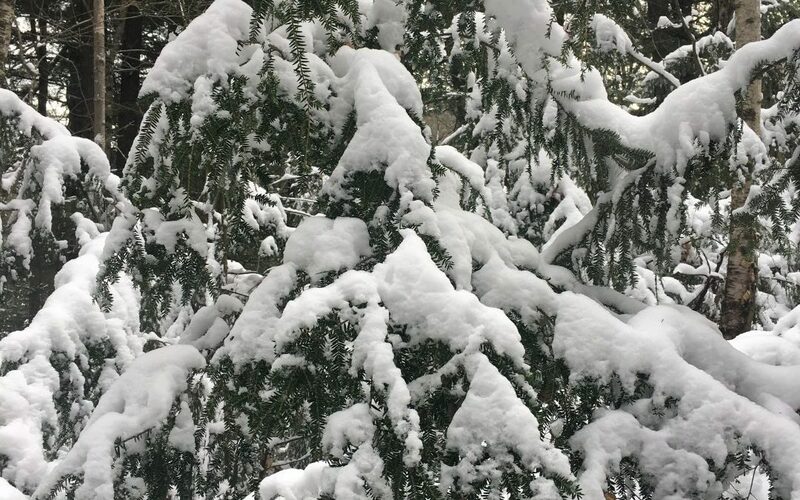 But of course, its most incredible feature is its’ namesake: the eastern hemlocks, old-growth relicts that survived the region’s logging days. 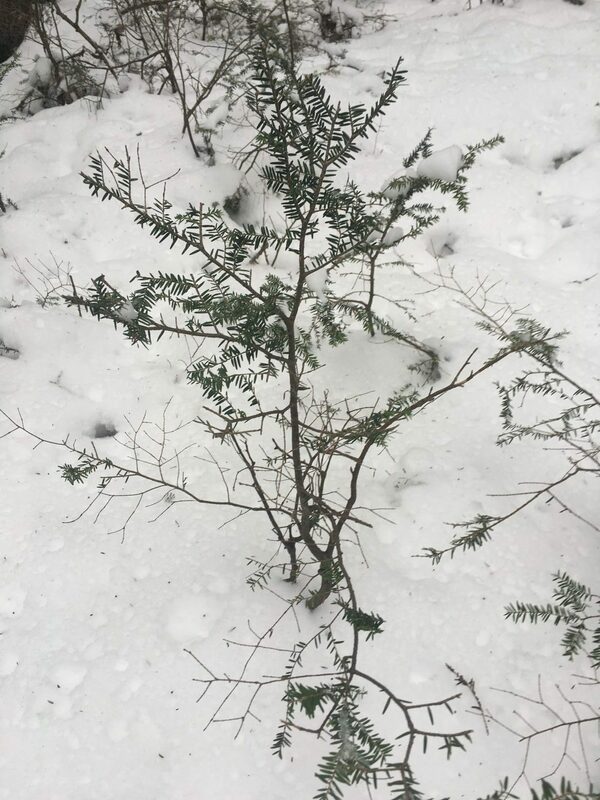 Hemlocks were cut heavily during Wisconsin’s cutover, largely to support the leather tanning industry, as hemlock bark is rich in tannin. The hemlocks here at Germain Hemlocks vary in age, but the oldest ones are 200 years old, probably even older. My tour guide, Carly Lapin – an ecologist with the Wisconsin Department of Natural Resources – points out a stand of old-growth hemlocks, and young regeneration. She notes that diversity in age groups is good when managing for old growth, but factors like deer browse are having a big impact on the regeneration of younger trees. Management through the DNR’s State Natural Areas Program helps ensure places like this continue to protect the unique natural communities and wildlife that are found here. 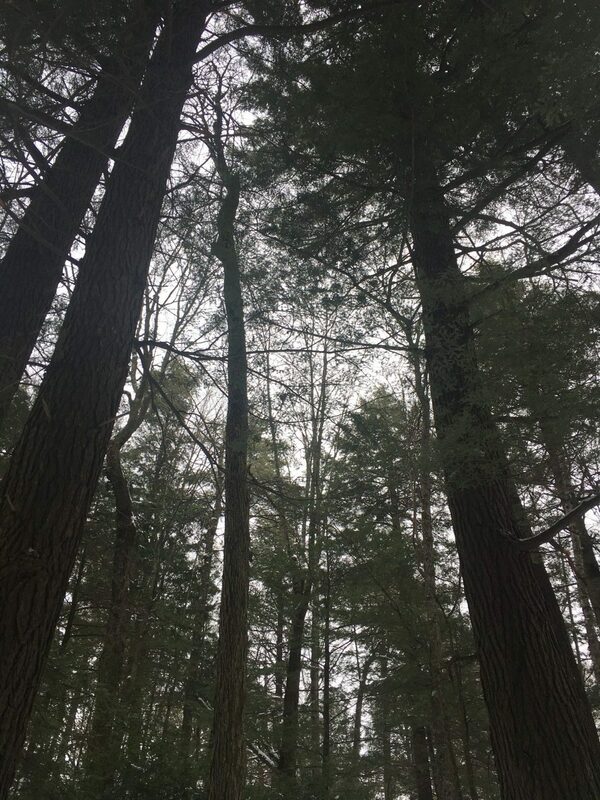 Germain Hemlocks is a haven for bird species, including scarlet tanagers, pileated woodpeckers, red-eyed vireos, and black-and-white, blackburnian, pine, yellow-rumped, and black-throated green warblers. 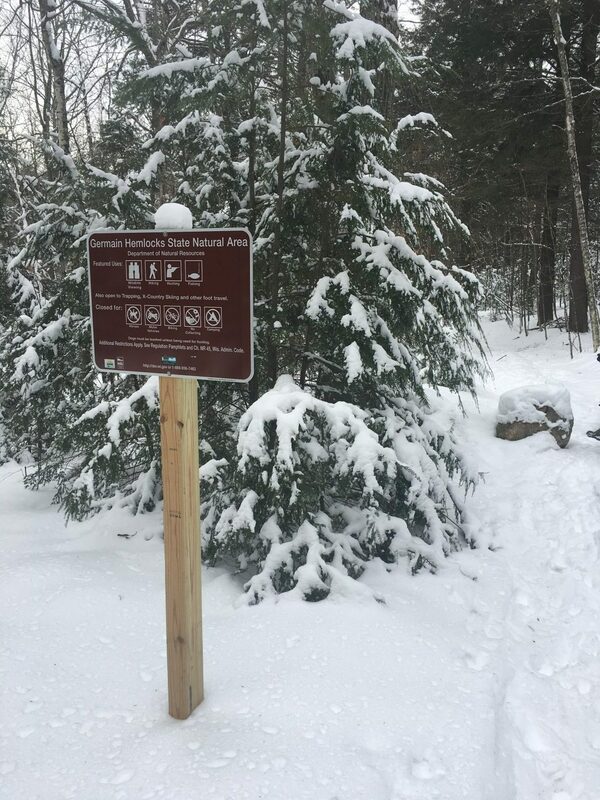 It is a beautiful place to explore, and a nice trail and signage makes it accessible to visit next time you’re in the area – any time of the year.